Why have a Smile Makeover? Having built a business online through a website and via social media such as Instagram and Facebook, I have looked at, and engaged with, an endless stream of images with “perfect smiles” from instagram influencers, models and celebrities and have been consciously and unconsciously comparing and contrasting my sadly lacking smile and gappy teeth which have been growing steadily worse over the years. And looking at my less than perfect smile for the past 10 years whilst I was bringing up the children (2 girls age 13 and 10) after putting myself to the bottom of the list, I decided that 2019 was going to be THE YEAR that I finally got to put “Me” at the top! When I was a teenager (a long time ago) I was actually given braces for my gappy and protruding teeth which consisted of a plastic palate which I am now reliably informed was an Upper Removable Appliance – essentially a top palate made of pink plastic with two front metal hooks over which I placed (or “twanged”) an elastic band, which was thinner, shorter and wider than ordinary elastic bands – and whose purpose was to effectively pull my teeth back towards the hooks and into line. The elastic band which looked white in the container quickly became banana YELLOW after eating or drinking anything, which gave me a Bright Banana Coloured Smile which was SOO NOT THE LOOK I was going for. I then had yellow teeth to contend with, on top of the usual teenage insecurities, so you can imagine that it wasn’t long before I came up with the solution of wrapping my URA palate in a tissue and placing it carefully in my handbag on a regular basis before going to the local cricket club disco. Unfortunately, on one of these nights out, someone (it could have been me?) stood on my bag which was sitting in the middle of the dance floor as we were dancing around it and in so doing, cracked the plastic palate of the braces and made the wire bit stand out at a different angle!! I was too afraid to go back to the scary Orthodontist immediately after this had happened, so carried on wearing the braces for around another one or two months before my usual Orthodontist progress appointment came up. My Mum came with me and sat in the room while I sat back in the dentist chair and “opened wide”. 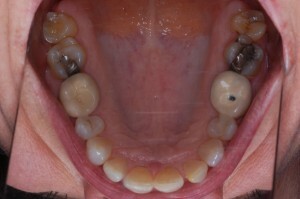 The Orthodontist took out the braces and once he looked at them in detail asked me exactly what had happened to them. I retold the story as it had happened and am not sure what I expected him to say about this, other than he would perhaps tut, arrange for the braces to be fixed and then go back to have them refitted…? You should be thankful of how improved your teeth are from what you had before! No, you can’t have a replacement as you can’t be trusted with braces!. As I left the Orthodontists that day I was temporarily relieved that I could walk away from the unhappy situation at the Orthodontist’s and also pleased that I didn’t have a “banana smile” when I smiled at friends and potential suitors, but thinking back to it I am quite outraged that a grown man who was probably in his 40s could shout down at a 15 year old girl and get away with it. And to be honest, I don’t know many teenagers (if any) who would not have behaved similarly in their teenage years. Who wouldn’t take their unsightly braces out before going out with their friends and possibly meeting a future boyfriend?? My how times have changed!! 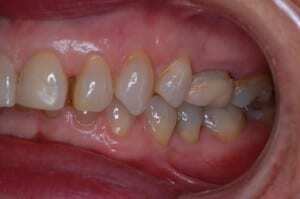 In those days too, we were not given overnight retainers (which are the mouth pieces which help retain the teeth in the required position over time (as your teeth will naturally try to return to their original state) if not coerced to retain the new improved shape. It was with this past experience (and fear of the Dentist) that I eventually got to a point in my life where I had the time, money and energy to research and address the situation. 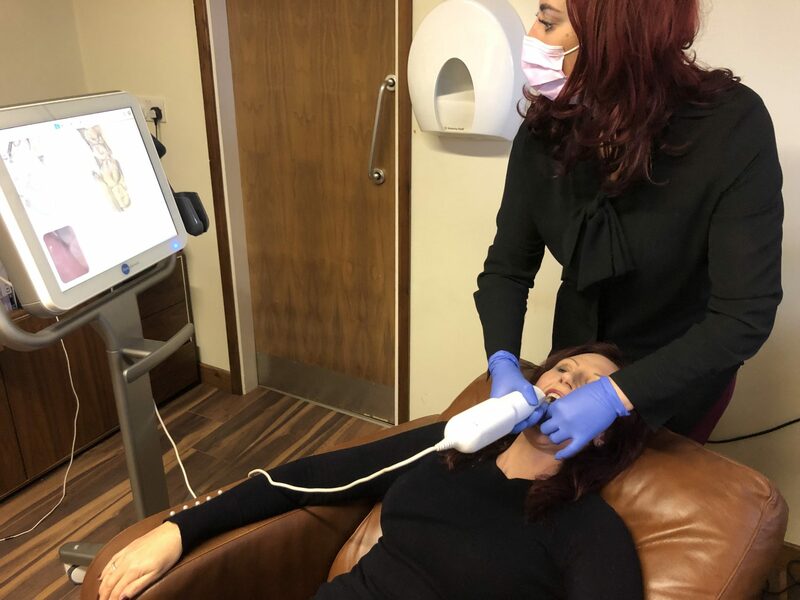 C Have a chat with the Dental Receptionist first to find out what they offer in terms of a Smile Makeover service, some Dentists carry out treatment in-house and others will refer you to an Orthodontist to make an appointment there. E Fill in their online contact form (most practices have this now) who will then contact you by your preferred method, either by phone or email at a time to suit you. 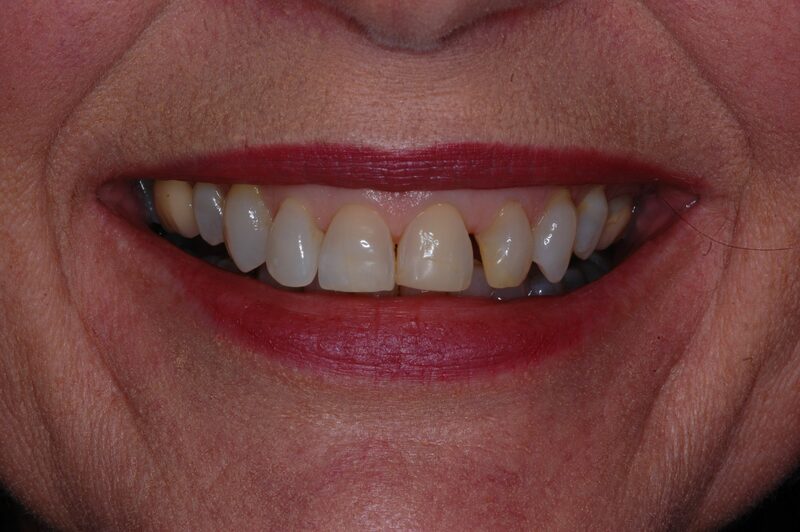 To arrange my initial Free Consultation at Sale Dental Spa, I explained what had happened with my teeth in the past and how I would love to improve my smile. I then made an appointment for a Smile Makeover consultation where I would have my teeth looked at and could discuss in detail what I didn’t like about my teeth and how they could be improved with the Treatment Co-ordinator there, called Mandi Beesley.